At Eight Bell’s we know that every bride and groom will have a completely unique day. We’ll shoot to reflect this and want you to remember exactly how you felt at the time. Make sure those special moments and memories are captured with a photography, videography, or combined photo and video package. We have carefully created a package to include everything needed to tell the story of your wedding with beautiful, high quality images. Pre-wedding consultation in face-to-face meetings, via Skype or phone. From the bridal party preparations to at least one hour of dancing, you can choose between 8 - 12 hours of coverage for your wedding day. Please select below. More than 400 edited hi-res image files, available to you in an online gallery for you to download and share with your friends and family. Choose the length of the highlight video you would like to remember your day with. We don’t want you to miss out on any special moments from your day, so as an extra to the main video, we can also provide a video file of the unedited ceremony and speeches in full. This means you get to watch the whole thing from start to finish. As we can’t include every moment of your day in the 3-10 minute main video, we will organise the complete footage of your day into an (approximate) 60 minute video file, which you can watch with live sound. This can be very emotional to watch together and remember your special day. *Please note - the prepared raw video files do not include the Ceremony & Speeches. They put us at ease in front of the camera, and were so discreet on the day that we barely noticed them! 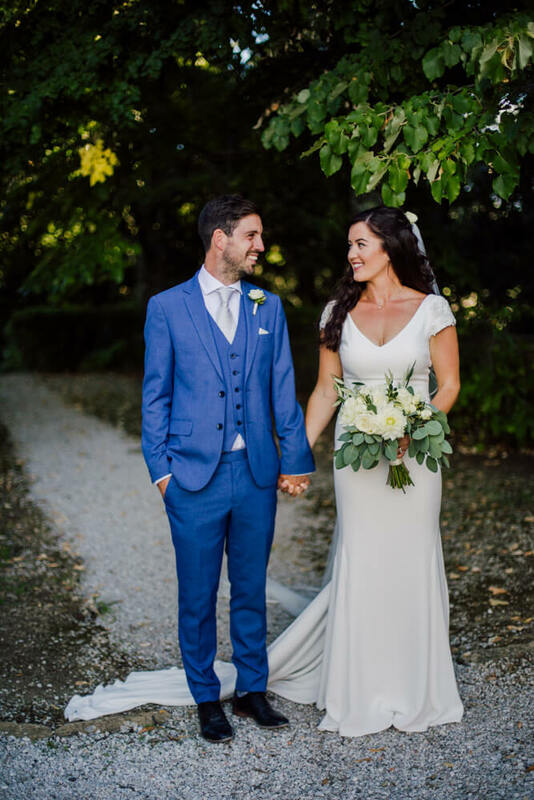 We absolutely love our wedding photos and video - they capture the essence of the day in the relaxed, informal, happy style we were after. They also happen to be lovely people as well as talented ones! From the very beginning of our journey Reuben & Polly made us feel at ease and understood completely what we were looking for. Their style of photography and editing was relaxed and natural. We could not be more delighted with the final results and the memories we will now be able to look back on! I could go on and on about how incredible Reuben's photos are, but the images on his website speak for themselves. Aside from his pictures, on the day Reuben and Polly had a way of making both of us immediately feel comfortable in front of the camera. They were a joy to work with and have created pictures that bring back the most amazing day for us time and time again. We can't thank them both enough! Choosing Reuben to photograph our wedding was one of the best decisions we made. Reuben and Polly were amazing before, during and after the ceremony and exceeded our expectations in every way. We love our photos more than we thought we ever could. Thank you so much for capturing our day so perfectly! Polly et Reuben ont contribué à faire de notre mariage une journée parfaite. Leur gentillesse et leur discrétion ont été mises en avant par nos invités. Nous les remercions du fond du cœur. Restez comme vous êtes. The results are as beautiful as we imagined, if not more. All the happy memories and feelings just come rushing back. Reuben is great at capturing the hidden moments and emotion, nothing feels staged, and the colour and light was amazing! Even in the rain, he expertly captured the romance and moodiness of the mountains. We would not hesitate to recommend them. They are a lovely and interesting couple and extremely talented at what they do. Thank you both!! You found us and liked our work. Now get in touch to find out if we have availability to photograph your special day. Don’t forget to include the date of your wedding, location and venue if known. In this first meeting we have a relaxed chat in person or via Skype. This is an opportunity for us to connect and discuss expectations. You get to tell us a bit about you and your wedding plans and we explain a bit about how we work. To book us and secure the date for your wedding, we’ll ask you to sign a contract and pay a 25% deposit. If you have any questions as you plan your wedding, we are on-hand to help at any time. 10 days before the wedding date we require the final 75% balance. Whoo-hoo, your big day is here! There’s no need to worry about us, we’ll arrive and check in with you at the agreed time. Then we will seamlessly start to document your special day as it unfolds. Purchase high quality prints from the online gallery and have them sent directly to your home. We can also make a beautiful album of your favourite photos. We’ll design it for you and have it professionally printed in bookshop quality. Why should we hire Eight Bells to document our wedding? Most people initially approach us because they like our style of photography and video, then they meet us and find we are not only professional, but also friendly and accommodating people. It is after all, your special day, and you want to feel 100% confident and comfortable with everyone who is present, including your photographers. What makes you different to other wedding photographers? We genuinely care about you and the aspirations you have for your wedding day. We want to be there with you and support you every step of the way. Out of all of the people in this world, you picked one single human to spend your life with. It is our desire as artists and fellow humans to remind you of the ‘why’ and to authentically capture that feeling in photos and video. It’s important to us that you walk away with more than staged photos or video of your day. We want you to feel refreshed and reminded of what brought you to this wonderful event in your life. Yes, all the photos are edited to the quality shown on this website. Editing includes colour, exposure and contrast correction. No retouching will be applied. All the digital files will be high resolution jpegs suitable for printing in sizes up to 60x90cm without losing details. 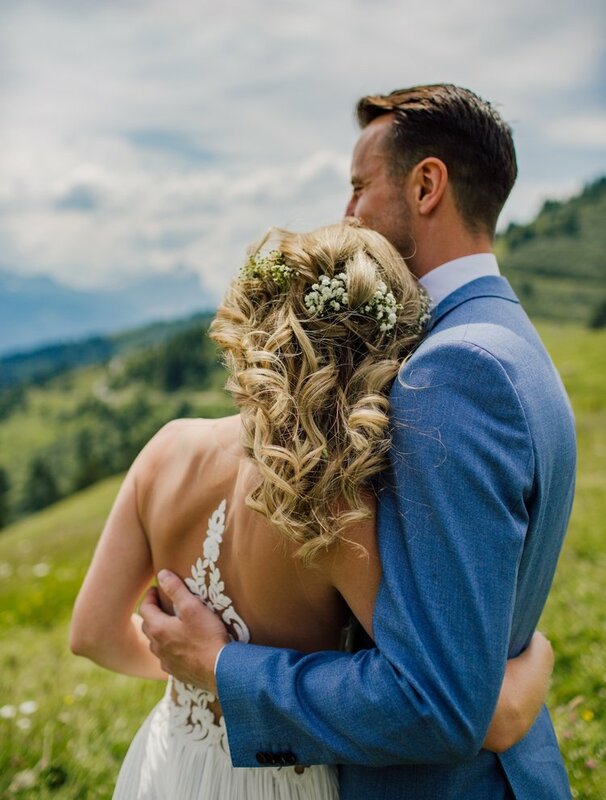 We document weddings near our home in Morzine in the French Alps, and travel all over Europe and Israel. Do we need to pay travel and lodging costs for you? If we have to take a flight or drive more than 2 hours, we will have to book a room, so accommodation costs will need to be included. Flights and gas reimbursement may apply, as well. But don’t fret- it’s simple. We have flat rates for our travel to make it easy on you. English, Spanish, Russian, French and Hebrew. We don’t limit ourselves with shooting throughout the day. We do guarantee at least 400 images, but from experience it can be double on full day coverage. What if we don’t like being in front of the camera? Most wedding couples bring this up, and actually the way we work is perfect for people who are a little camera shy. Our default mode is to not interfere or stage poses, so for most of the day you’ll look absolutely brilliant by just ignoring us! Even when we shoot couple shots, we are secretly snapping the fits of giggles and stolen looks when you’re not noticing, and this is how we capture those special moments! We upload the final high resolution photos into a password protected gallery. You can download your images from this gallery and share them with your friends. The gallery will be online for at least a year. For your own peace of mind, please make sure to download the high res photos and back up to several different locations or save in your cloud storage system. In just a few clicks, high quality prints can be easily ordered. What is the advantage of booking both photos and video through Eight Bells? We are a one stop shop. That means one contract, one invoice, one team. This equals less stress for you, and more fun for us. We have that husband/wife mind reading thing going on, so we are kind of a dream team on wedding days. We work together when editing the photos and footage for a beautiful, cohesive look. Plus, we give a 10% discount when our services are booked together. Do I need a wedding video, or will photos be enough? This is up to you, but we will say that video is often overlooked, and it shouldn’t be. Video extends the story with sound and movement. It is just as important as photography. There’s something so special about being able to hear voices, see nervous fingertips twitch in anticipation, and to see the way sunlight dances across the bride. You can guarantee that your day will fly by, quicker than you expected, with video you can relive these movements, feelings and sounds for years to come. Can we book only one of you? Yes, you can choose photography or video, but we strongly advise you to choose both. When will we receive our photos and video? Within 60 days of your wedding, we will send you the link and password for your online photo gallery, and within seconds you will be smiling at your stunning pictures! At the same time, a separate link and password will be sent to view and download your video. Can you create wedding albums and prints from our photographs? You can easily purchase high quality prints from the online gallery and have them sent directly to your home. We can also make a beautiful album of your favourite photos. We’ll design it for you and have it professionally printed in bookshop quality. The product can be printed as many times as you wish for family and friends and sent directly to your home address. Do we get all the rights for the photos? As with most wedding photography, you have the right to print your images and share them with family and friends in private, you can also publish on your personal social networks. What you cannot do is distribute them for commercial or advertising purposes, including to your service providers. How long have you been in business and how many weddings have you photographed? We started in 2014 and have shot over 300 weddings. We are confident in all conditions, from snowy mountain peaks in -10°C temperatures to hot deserts of 45°C. What is required to reserve our wedding date? A signed contract and a 25% deposit. The other 75% is due 10 days before your wedding date. Many of our commissions contact us a year or more in advance. To avoid disappointment, as soon as possible pay the deposit and secure your date – unfortunately we can’t hold the date until this is done. Ok, I’m ready to book, what’s the process? Get in touch with your wedding date and we’ll be back to you to book our first meeting. This will be an informal chat via phone, Skype or in person, where we discuss expectations and get to know each other. When you decide to book us, you need to pay the 25% deposit to secure your wedding date. Please tell us about yourselves and your wedding day.